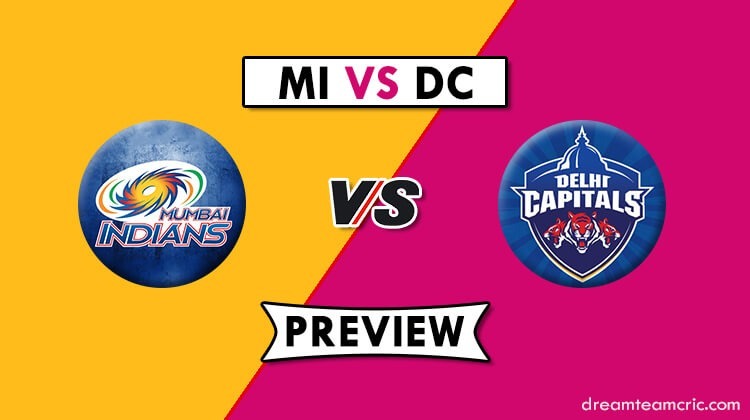 Mumbai Indian and Delhi Capitals are on their marks and are set to lock horns in the 3rd match of Indian Premier League on Sunday, March 23 at Wankhede Stadium, Mumbai. After failing to qualify for the playoffs in the last season, Mumbai Indian would be looking forward to not repeat the same things again. Even, Delhi would want to do something extraordinary in their first game to enhance their confidence. This match is set to begin at 08:00 PM IST. There are not many changes in Mumbai’s side. Mumbai Indian side has got immense learning for young talents by signing veterans like Yuvraj Singh and Lasith Malinga. Quinton de Kock has been included in the squad. They are expected to play a vital role this season. Shreyas Iyer will be seen captaining Delhi Capital for this entire season. Delhi would enter the pitch with in-form players like Rishabh Pant, Shikhar Dhawan and Prithvi Shaw and would be eyeing the tournament trophy. This can be a nail-biting match for the audience. Mumbai will be at an advantage because of playing at home, while Delhi would just concentrate to start their season well. Yuvraj Singh will be seen wearing the blue jersey and is expected to play tomorrow. Shikhar Dhawan will be boosting the innings for Delhi. Chris Morris will not play the first game as he is busy playing T20I against Sri Lanka. Pitch Report: Mostly, this pitch has favored batsmen and chasing here is more preferable. Teams here are more likely to field first on winning the toss.